I hear a lot about Spring, people are saying all over the web that Spring is a good framework for web development. What exactly is Spring Framework for? Basically Spring is a framework for dependency-injection which is a pattern that allows to build very decoupled systems. This has no problem with a small program like this but... What happens in a program that has hundreds of views and a similar number of business classes. The maintenance becomes a nightmare! What Spring does is to wire the classes up by using an XML file or annotations, this way all the objects are instantiated and initialized by Spring and injected in the right places (Servlets, Web Frameworks, Business classes, DAOs, etc, etc, etc...). This way when the view is created it magically will have a UserLister ready to work. It is great! Isn't it? What if I don't want to use Spring anymore? Just don't use it! Your application isn't coupled to it. Inversion of Control states: "The application controls the framework, not the framework controls the application". There are some other options for Dependency Injection around there, what in my opinion has made Spring so famous besides its simplicity, elegance and stability is that the guys of SpringSource have programmed many many POJOs that help to integrate Spring with many other common frameworks without being intrusive in your application. Also Spring has several good subprojects like Spring MVC, Spring WebFlow, Spring Security and again a loooong list of etceteras. Hope this helps. Anyway, I encourage you to read Martin Fowler's article about Dependency Injection and Inversion of Control because he does it better than me. After understanding the basics take a look to Spring Documentation, in my opinion it is used to be the best Spring book ever. Now whenever you want a instance of Trip; sometimes you may want a SUV to initialize FourWheel or sometimes you may want Sedan. It really depends what you want based on specific situation. To solve this problem you'd want to have a Factory Pattern as creational pattern. Where a factory returns the right instance. So eventually you'll end up with lots of glue code just to instantiate objects correctly. Spring does the job of glue code best without that glue code. You declare mappings in XML and it initialized the objects automatically. It also does lot using singleton architecture for instances and that helps in optimized memory usage. This is also called Inversion Of Control. Other frameworks to do this are Google guice, Pico container etc. Apart from this, Spring has validation framework, extensive support for DAO layer in collaboration with JDBC, iBatis and Hibernate (and many more). Provides excellent Transactional control over database transactions. There is lot more to Spring that can be read up in good books like "Pro Spring". Following URLs may be of help too. Old days, Spring was a dependency injection frame work only like (Guice, PicoContainer,...), but now a days it is a total solutions for building you Enterprise Application. Spring now has lots of projects, each with some sub projects (http://spring.io/projects) . When some one speaks about spring, you must find out what spring project he is talking about, is it only spring core, which is known as spring framework, or it is another spring projects. You can use spring for web development as it has the Spring MVC module which is part of Spring Framework project. Or you can use spring with another web frame work, like struts2. What is Spring for? I will answer that question shortly, but first, let's take another look at the example by victor hugo. It's not a great example because it doesn't justify the need for a new framework. Done! So now even if you have hundreds or thousands of views, you still just need to change the one line of code, as in the Spring XML approach. But changing a line of code still requires recompiling as opposed to editing XML you say? Well my fussy friend, use Ant and script away! Very short summarized, I will say that Spring is the "glue" in your application. It's used to integrate different frameworks and your own code. Spring handles Dependency Injection and I recommend you read Martin Fowler's excellent introduction on dependency injection. The second thing Spring does is wrap excellent Java libraries in a very elegant way to use in your applications. For a good example see how Spring wraps Task Executors and Quartz Scheduler. Thirdly Spring provides a bunch of implementations of web stuff like REST, an MVC web framework and more. They figure since you are using Spring for the first two, maybe you can just use it for everything your web app needs. The problem is that Spring DI is really well thought out, the wrappers around other things are really well thought out in that the other things thought everything out and Spring just nicely wraps it. The Spring implementations of MVC and REST and all the other stuff is not as well done (YMMV, IMHO) but there are exceptions (Spring Security is da bomb). So I tend to use Spring for DI, and its cool wrappers but prefer other stuff for Web (I like Tapestry a lot), REST (Jersey is really robust), etc. Using Spring for a web app enables you to use your Domain Objects at all levels of the application - the same classes that are mapped using Hibernate are the classes you use as "form beans." By nature, this will lead to a more robust domain model, in part because it's going to cut down on the number of classes. Spring form tags make it easier to create forms without much hassle. In addition, Spring is HUGE - so there are a lot of other things you might be interested in using in a web app such as Spring AOP or Spring Security. But the four things listed above describe the common components of Spring that are used in a web app. "What exactly is Spring for" -> see the accepted answer by victor hugo. Spring is great for gluing instances of classes together. You know that your Hibernate classes are always going to need a datasource, Spring wires them together (and has an implementation of the datasource too). Your data access objects will always need Hibernate access, Spring wires the Hibernate classes into your DAOs for you. Additionally, Spring basically gives you solid configurations of a bunch of libraries, and in that, gives you guidance in what libs you should use. Spring is really a great tool. (I wasn't talking about Spring MVC, just the base framework). The accepted answer doesn't involve the annotations usage since Spring introduced support for various annotations for configuration. The above statement is valid with a little bonus of no need of any XML file usage and wiring with another annotation @Autowired that finds a relevant implementation and inject it in. Use the @Bean annotation on a method used to get the bean implementation to inject. The advantage is Dependency Injection (DI). It means outsourcing the task of object creation.Let me explain with an example. In the above class, depending on our mood, we pick Buffet() or Plated(). However this system is tightly coupled. Every time we need a different type of Object, we need to change the code. In this case, commenting out a line ! Imagine there are 50 different classes used by 50 different people. It would be a hell of a mess. In this case, we need to Decouple the system. Let's rewrite the LunchDecide class. Notice that instead of creating an object using new keyword we passed the reference to an object of Lunch Type as a parameter to our constructor. Here, object creation is outsourced. This code can be wired either using Xml config file (legacy) or Java Annotations (modern). Either way, the decision on which Type of object would be created would be done there during runtime. An object would be injected by Xml into our code - Our Code is dependent on Xml for that job. Hence, Dependency Injection (DI). DI not only helps in making our system loosely coupled, it simplifies writing of Unit tests since it allows dependencies to be mocked. Last but not the least, DI streamlines Aspect Oriented Programming (AOP) which leads to further decoupling and increase of modularity. Also note that above DI is Constructor Injection. DI can be done by Setter Injection as well - same plain old setter method from encapsulation. Spring is a good alternative to Enterprise JavaBeans (EJB) technology. It also has web framework and web services framework component. Spring is a lightweight and flexible framework compare to J2EE. Spring container act as a inversion of control. Spring uses AOP i.e. proxies and Singleton, Factory and Template Method Design patterns. Tiered architectures: Separation of concerns and Reusable layers and Easy maintenance. Spring started off as a fairly simple dependency injection system. Now it is huge and has everything in it (except for the proverbial kitchen sink). But fear not, it is quite modular so you can use just the pieces you want. It might be old but it is an excellent book. It also references older versions of Spring but is definitely worth looking at. Spring was dependency injection in the begining, then add king of wrappers for almost everything (wrapper over JPA implementations etc). Good library, but with growing depnedenciec, for example Spring JDBC (maybe one Java jdbc solution with real names parameters) take from maven 4-5 next. Any application that you build definitely you need security. If you are build a product, long maintenance, then you will defiantly need Aop concept. If you application has much more load then you need to implement microservices. Main thing is that spring is open source and extensible framework,have a hook everywhere to integrate custom code in life cycle. Spring Data is one project which provide integration with your project. 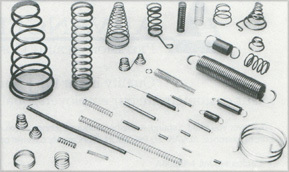 So everything you need to build application has Spring. In the past I thought about Spring framework from purely technical standpoint. Given some experience of team work and developing enterprise Webapps - I would say that Spring is for faster development of applications (web applications) by decoupling its individual elements (beans). Faster development makes it so popular. Spring allows shifting responsibility of building (wiring up) the application onto the Spring framework. The Spring framework's dependency injection is responsible for connecting/ wiring up individual beans into a working application. This way developers can be focused more on development of individual components (beans) as soon as interfaces between beans are defined. Testing of such application is easy - the primary focus is given to individual beans. They can be easily decoupled and mocked, so unit-testing is fast and efficient. Spring framework defines multiple specialized beans such as @Controller (@Restcontroller), @Repository, @Component to serve web purposes. Spring together with Maven provide a structure that is intuitive to developers. Team work is easy and fast as there is individual elements are kept apart and can be reused. Not the answer you're looking for? Browse other questions tagged java spring web web-applications frameworks or ask your own question. What are Dependency Injection & Spring Framework about? What does Spring dependency injection solve? How JavaEE and Spring are related / unrelated?